If you are looking for a nomad life, then look no further as 'ProjectVanLife' is here to inspire you. 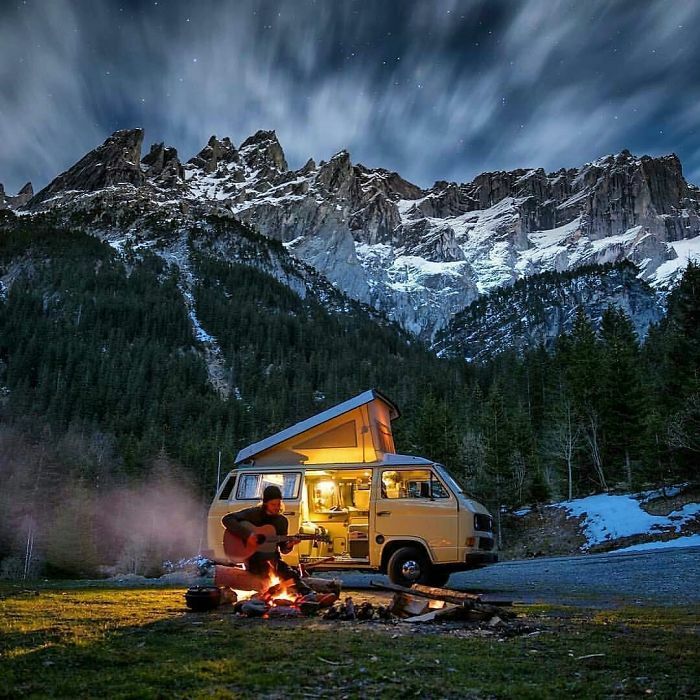 It's an Instagram account where you can find pictures of folks who are living the nomad life with their pets and in a van. They get to travel around the world, document their experiences and share their journey on 'ProjectVanLife'. I know it's not easy just quitting your job and take what ever savings you have and start the journey. It's one of those things, where one day you will wonder, why didn't I take plunge and go enjoy the world and travel as a nomad. Have a look at these pictures and see if it is going to inspire you and make you join the 'ProjectVanLife' movement.